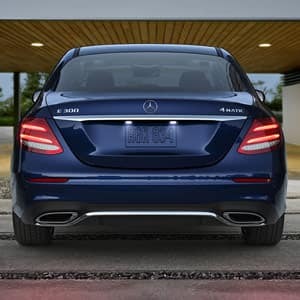 The 2019 Mercedes-Benz E-Class is a great option for your next vehicle choice. There are a lot of innovations with the new design and technology for the year. 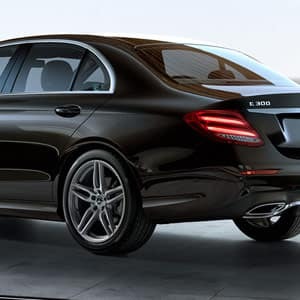 If you are considering a new vehicle, look no further than the 2019 Mercedes-Benz E-Class. 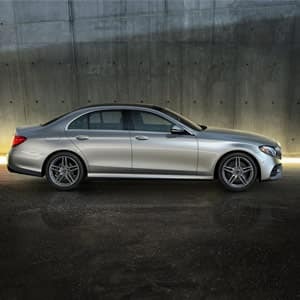 Introducing the 2019 Mercedes-Benz E-Class now available at Mercedes-Benz of Westminter. This isn't just the most advanced E-Class yet. With technologies never before offered on a production car, the E-Class writes a new chapter in the story of driving: Where cars can talk to each other, and look out for you, in ways you never imagined. Now, you can drive this milestone in automotive innovation at a payment you never imagined. 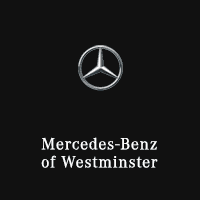 Discerning drivers from Denver, Boulder, Littleton or even Loveland will want to visit Mercedes-Benz of Westminster to witness this evolutionary lap in automotive luxury. Technology in the 2019 Mercedes-Benz E-Class has never been so much fun. 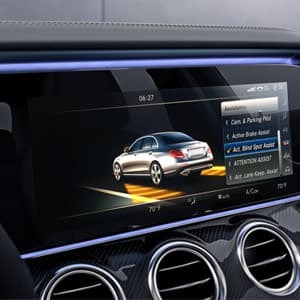 Not only is there a touchscreen that is 12.3 inches in the console, but you can connect all of your favorite apps to it through the COMAND® system. You can connect your phone through the available Bluetooth® technology and even stream all of your favorite songs to fit your mood on any drive. You can even use the navigation technology to easily get to and from any location as well as share your location with others when you need to. You can also add Heads Up technology in your windshield as an optional feature. 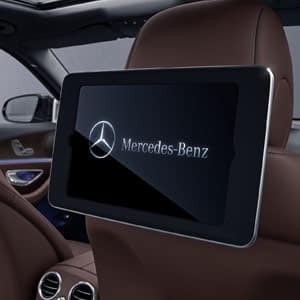 You have access to the in-vehicle Wi-Fi hotspot as well so you are always connected no matter where your new 2019 Mercedes-Benz E-Class may end up taking you. *Bluetooth is a registered mark Bluetooth SIG, Inc.
Driving in the new 2019 Mercedes-Benz E-Class has never been more fun or more efficient. One of the best things about the vehicle is that you have access to use Dynamic Select so you can set your driving preferences with each new drive. You can choose comfortable for more normal driving and you can even choose eco mode for a more efficient ride. You can also choose sport mode or sport + mode for a tighter hug on the road and faster response, as well as set your own specific driving preference with the individual mode. 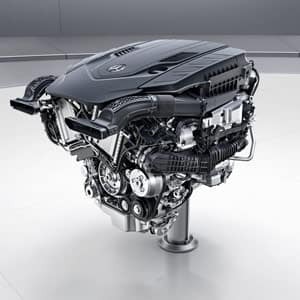 Efficiency in the new 2019 Mercedes-Benz E-Class does not just happen because of a specific mode that you choose when you drive, it also comes from the E 300's turbo engine that gets more power out of every drop of fuel that you add to it. The engine even self-tunes every few milliseconds so it stays just as efficient. The new 9-speed transmission also helps with efficiency because it responds more quickly when you are driving and it relaxes more efficiently as well. With the 2019 Mercedes-Benz E-Class, all of the performance tools not only lead to better performance but also more efficiency, which is a win-win. Safety is always a concern when you are looking to purchase a vehicle. 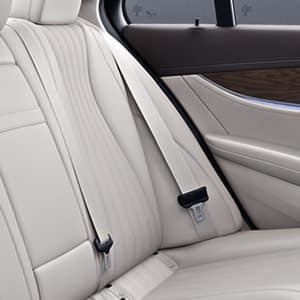 The same is true with the 2019 Mercedes-Benz E-Class and you want to make sure that it will keep you and your family safe. 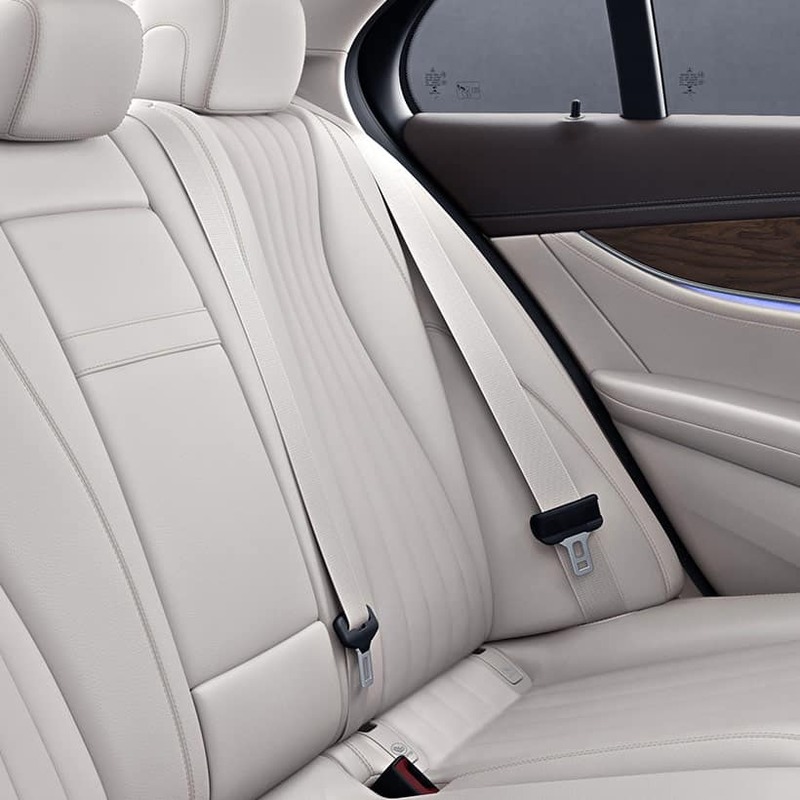 There are a lot of standard as well as optional safety features available with the 2019 Mercedes-Benz E-Class. Of course, airbags come standard so if you are in an accident, you are well protected. You can add the blind spot sensor feature, this will help you keep track of something if it is in your blind spot. You will even get a warning if something is there and you are trying to get into another lane. This may help prevent you from getting in an accident. Remote and keyless entry is also standard on the new 2019 Mercedes-Benz E-Class as well as illuminated entry. This helps to ensure that you can get into your vehicle easily and with added safety. Lastly, daytime running lights also come standard so you can ensure that others can see you and your vehicle when you are driving on the road, even when sight is limited, like during a rain storm. If you are interested in learning more about the 2019 Mercedes-Benz E-Class, be sure to stop by our showroom today. We can answer any other questions you may have and set you up with a test drive. Bluetooth® is a registered mark Bluetooth SIG, Inc.